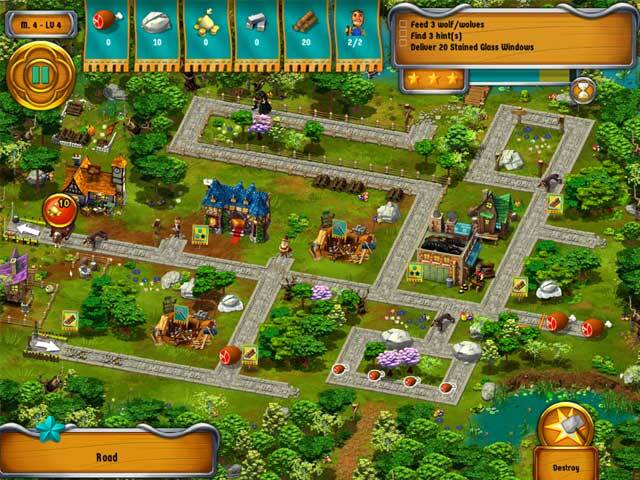 Travel through the middle ages to the Renaissance and build the world’s tallest Gothic cathedral. Heed the advice of a Project Manager and his brother, the Storyteller. Will you accept the challenge that span over six centuries? Can you build Germany’s most famous monument, the Cologne Cathedral? 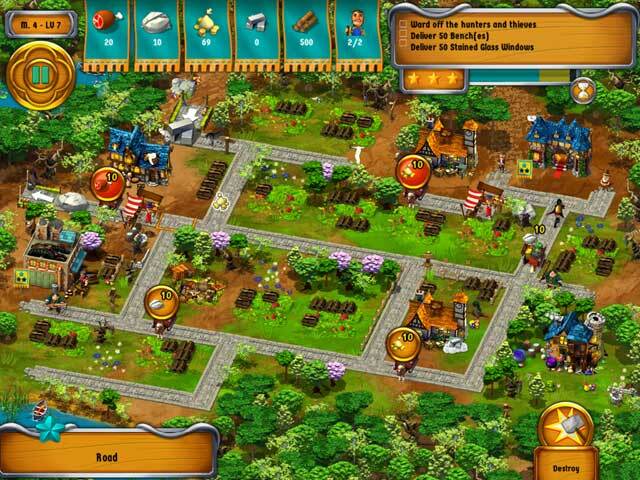 Gather construction materials, clear the terrain and transport the material to the workshop. Protect your construction site from robbers and bandits. 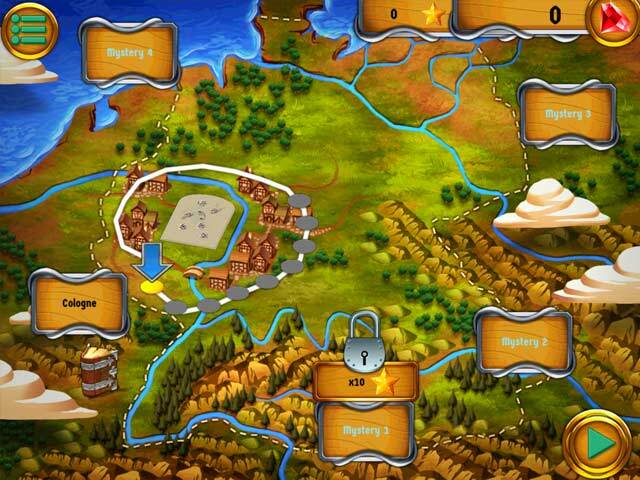 Discover more than 40 places and uncover 29 hidden object scenes! Will you be able to complete the construction in time and leave your mark in history? 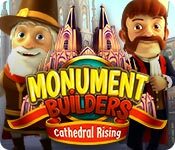 Monument Builders: Cathedral Rising is rated 3.9 out of 5 by 11. Rated 5 out of 5 by HUCster from Fun Game! This was my first Monument Builder game and I had fun! Especially when I let go of achieving 3 stars on every level. There are a few glitches, such as sometimes it is hard to find the exact spot to click and the game did not always count correctly, but because I decided 2 stars was dandy, it didn't bother me much. It was super easy to finish each level with 2 stars. I am not an expert player so I was happy to be able to earn extra jewels by playing early levels, because without that option, at some point, I would have run out of jewels and then the game would have been done. I was able to finish the game, in spite of my average playing skills! The game was not too long or too short. The levels were varied - some easy, some medium, and some sent me to the tip forum. The story was fun and I learned a bit too! All in all, it was fun and entertaining and I am happy I purchased this game. Rated 5 out of 5 by pennmom36 from Hohe Domkirche St. Petrus Who doesn't love Monument Builders? At least you feel a bit educated afterwards! If you haven't played any of the Monument Builder, Time Management games, they are games that tell you interesting facts about the building, in this case, The Cologne Cathedral or Kolner Dom. The graphics are good, the tasks are interesting and I love hearing the clip clop of those pack mules. As in most Time Management games, you must complete the tasks given within a certain time limit in order to achieve up to three stars. You will also earn gems that can be used to purchase upgrades such as Specialized Workers, Faster Production, and even Automatic Transport. You are the Project Manager so you will need to figure out what needs to be done to achieve those goals, which buildings to build and when to build them. There are Farms to build that will produce food for workers (and hungry stray dogs) Quarry's that produce stone, Banks to collect Gold and even Workshops. You will need to clear away debris and repair roads to allow the mules a clear passage to deliver their loads, clear trees for their wood, and ward off hunters. Buildings can be improved twice which will increase production, and you can recruit new workers when and if you have the resources. This game has a really good tutorial available, so if you aren't familiar with TM games, this is a great game to start with. Enjoy! Rated 5 out of 5 by boogienites from Wow! What is going on? Another great TM game! I couldn't believe my eyes when I opened BFG yesterday morning and saw Monument Builders, one of the best series of TM games! I didn't even bother trying it out; I just bought it, and I'm not sorry I did. I like playing in the timed mode but even if you don't like the timed action, you can play relaxed mode. And, reading the historical information is always interesting. You use the stars you get at the end of each level to select things that will help you get through the level within the time allowed. If you don't beat the clock, you loose those stars. Use them wisely, because there if you don't beat the clock, you will lose stars. I always play the level without selecting any help (fast production/special worker/etc.). This helps me get an idea of what needs to be done in order to beat the clock. Even so, there are levels that are very challenging. I had to play several levels over & over before getting 3 stars. Once you start a level in timed mode, finish it even if you don't get 3 stars. If you start over before finishing, you lose the stars, but if you finish with only 2 or 1 star, those are added to stars you've accumulated. Just a suggestion ;) I love TM games, and this one does not disappoint! Rated 5 out of 5 by nufsober from FUN FUN FUN!!!!!!!!!!!!! JUST LIKE THE OTHER ONES!!!!!!!!!! I HAVE SEVERAL OF THE OTHERS, THIS IS A WINNER JUST LIKE THEM!! I PLAY THE CASUAL MODE SO I DON'T HAVE TO WORRY ABOUT BEING TIMED! I LIKE THE ABILITY TO CHOOSE WHERE I DON'T HAVE TO CLICK ON SUPPLIES TO GET THEM PICKED UP! I'M BUYING THIS TODAY!!!!!!!! TRY IT, YOU'LL LIKE IT!!!!!!!!! Rated 4 out of 5 by curlly62 from Not long enough I own all of the Monument Builders games and have played all of them atleast twice. They have definitely gotten better over time, but this one was a disppointment to me. I won't repeat all of the details of the game as there are other reviews that give you that information. I am just going to state my complaints with this game. 1. Its way too short - I couldn't believe how quickly I reached the end of the game 2. The cursor has to be in a VERY PRECISE spot in order for you to click and get action. That is very annoying, especially in a TM game. 3. I like being able to choose "automatic" transport even if I have to earn it like finding rubies in the Great Wall game. My favorite I think of all the Monument Builders games is The Great Wall of China. I liked everything about that one and it gave alot of facts about the Great Wall. I hope the developers take all of our suggestions and come up with another brilliant Monument Builders game. Rated 3 out of 5 by gramdma_frog from They did it again I own most of the MB games and I really enjoy playing them, but this one has one awful level where you can't stop the thief you have to just keep clicking and clicking. I am not able to complete this level because I can't click that much before my hand starts to hurt. You cannot skip this level and it is the next to last. The developers did this in one other game and now I will really think twice about buying any others. Rated 3 out of 5 by magbrad from Nice story with mindless clicking This game is fun at the beginning, but then at medium levels, I became irritated by mindless clicking requirements. For example, bogies called "thieves" and "hunters" are introduced and if you don't click fast enough to get rid of them, your overall game play suffers. You don't gain as many stars; therefore bonuses for next level aren't available. It starts to no longer matter how well you actually strategize and play the story line. A little of that is cute and adds some fun because it's a surprise to see the thief and you have to go get it. This game has too much of this stuff. The story and strategy for the game starts to no longer matter and that was disappointing for me. Rated 2 out of 5 by honest2 from Need to make changes Actually bought this one As at least they have made everything a BIT bigger. However I didn't finish the game because; a) I cannot stand the compulsory verbal at the beginning of each and EVERY new chapter b) You have to chase and click each and every verbal balloon all over the screen before you can play c) It's a bit monotonous d) I am unable to get the "home building" to buy stuff. You seem to only be able to click on one tiny spot at the base of the building to get it to work and for chapter 4/4 that is just too, too much to ask. This is the first of these I have ever bought and actually it will probably be the last as they don't seem to make much effort to improve their game.